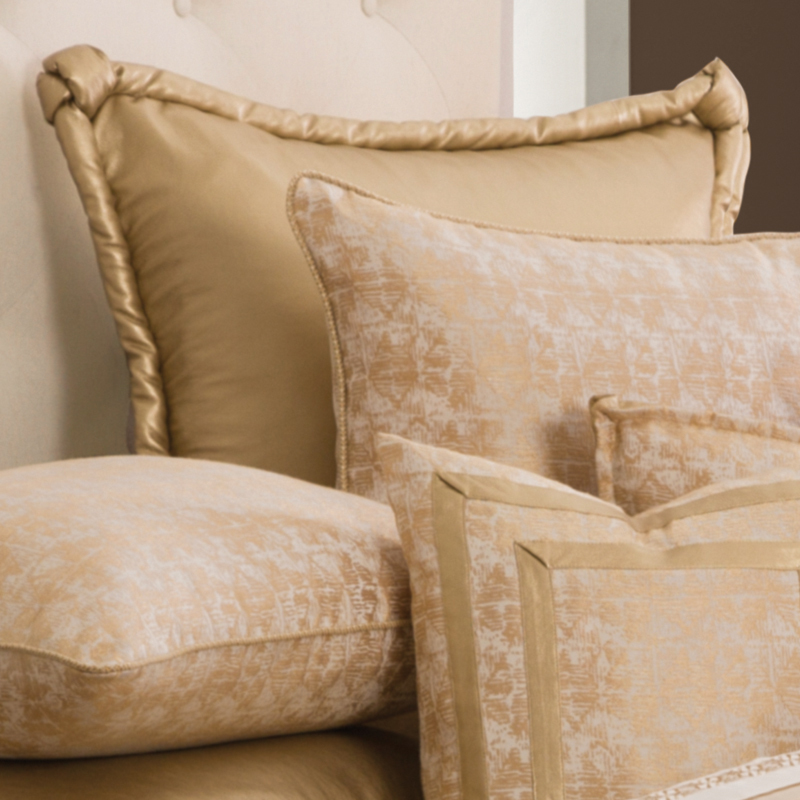 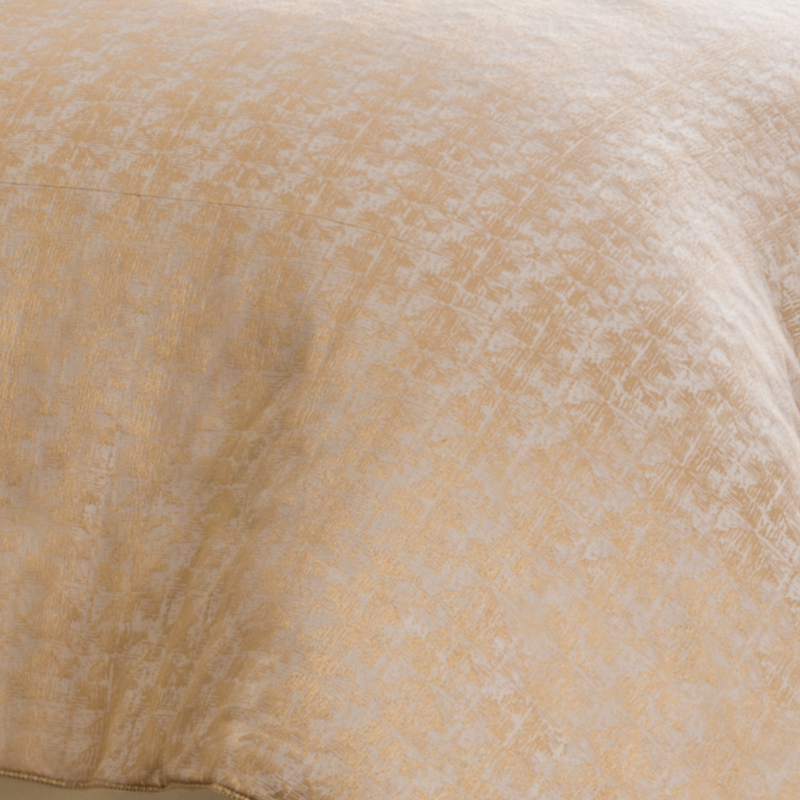 The Aurora bedding set features a soft and inviting shimmering gold and cream color palette in a beautifully blended pattern. 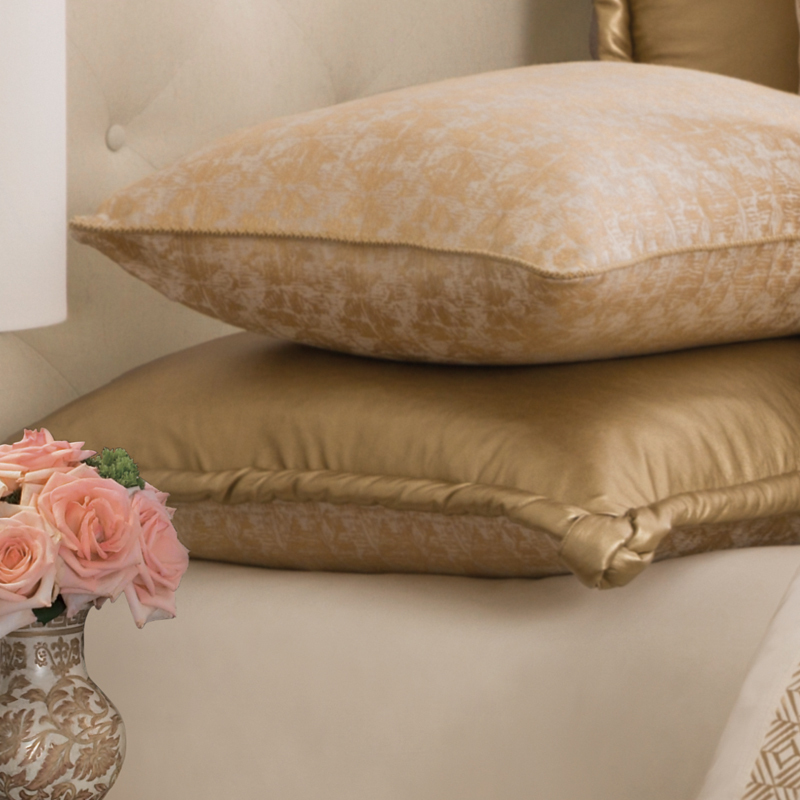 It offer luxurious designer details such as the applique accent pillow and elegant thick cording with knotted corners trimming the reversible Euro shams. 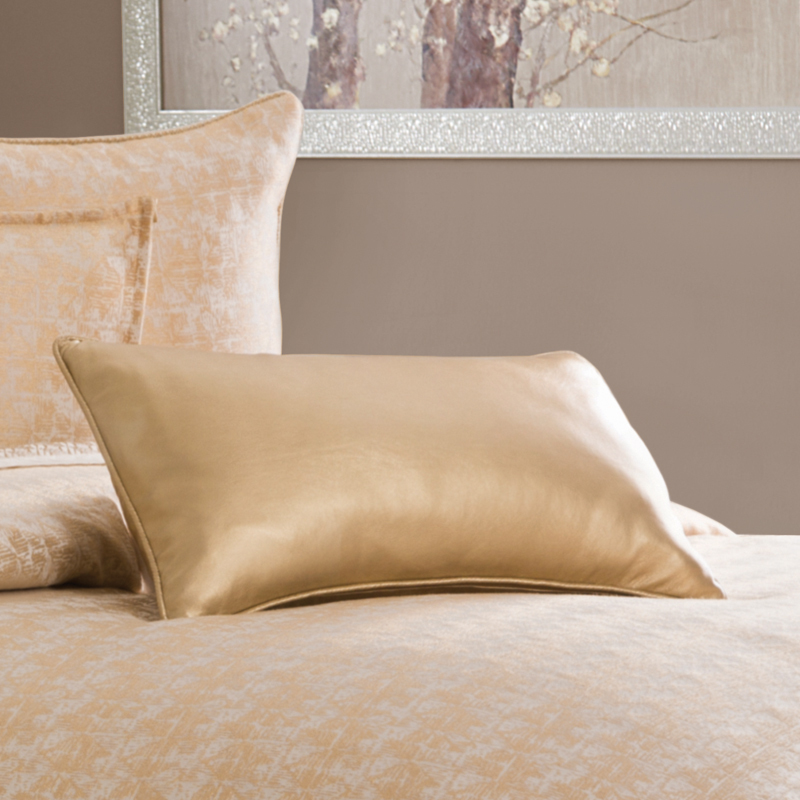 The clean tailoring and added solid gold fabrics give the Aurora a glamorous and sophisticated appeal perfect for any master bedroom. 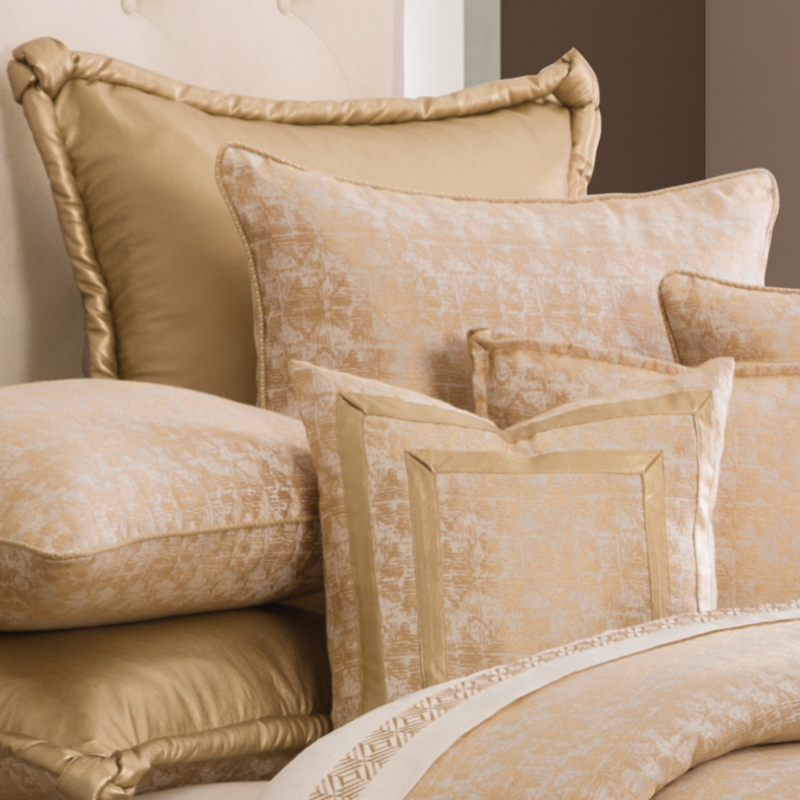 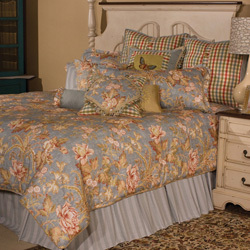 The Aurora bedding collection is an exclusive Michael Amini Signature Design by AICO designed to correlate to most AICO bedroom sets. 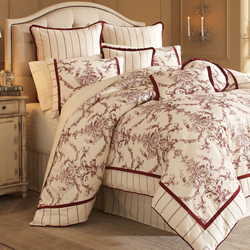 • The Michael Amini Aurora is considered a special order item.